Bladez is a brand from BH Fitness, a company with it's origins in Spain who've been around in the fitness world for almost 100 years. They also make spinning bikes, exercise bikes, elliptical cross-trainers, treadmills and, more recently. vibration (power) plates. During this time they've earned quite a reputation for bringing hi-tech and hi-spec fitness equipment into the price range of the masses. And we think the Cascade keeps up this tradition - and then some! As with all our reviews, we'll start with the assembly and instructions. 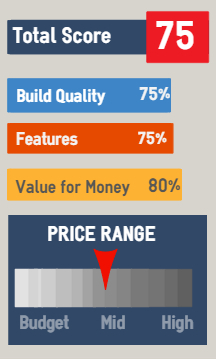 First of all, the manual is good with clear instructions to fit the components together - it also has advice on warm-ups and workouts, which is more than many in this price range. The seat is not the most comfortable we've sat on, but it's a good height (around 18") and the long rail provides a good length slide (36") from the Catch to Finish, making it suitable for the taller person of well over 6'. (see my tips on improving the comfort of the seat). The footrests are a vital part of any rowing machine. 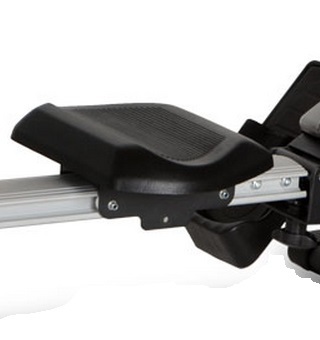 Poor design lets down many otherwise good rowing machines because if your feet slip it's difficult to row. The rests on the Cascade do the job fine and all-in-all, the rowing position and action are very good. The quiet magnetic resistance mechanism has 16 levels that can be selected using a manual program, or adjusted automatically by one of the many pre-set programs (see below). The one big disappointment is the short warranty on the frame - it's just one year. Many rowers sold for a similar price have at least three years! The build quality doesn't seem to be a big issue, so we wonder why it's so short? In a word - cool! The backlit, color LCD is very well laid out and displays all the relevant workout data that can be read at a glance. The on-touch buttons help to quickly select one of the many pre-set programs (17 in total). These include heart rate training programs - an excellent way to maximize the time on the rower - and note, the Cascade is supplied with a chest strap that transmits your heart rate to a receiver in the monitor. This is very welcome as many higher-priced models don't include a strap. 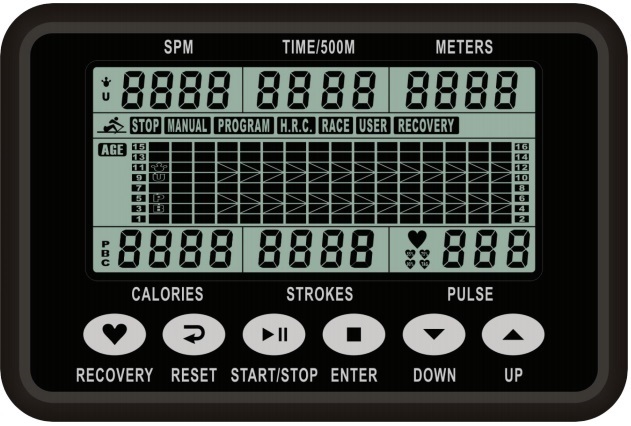 Other pre-sets include a race boat that lets you set the stroke rate and then race over a set distance or time. The clever graphics will show your progress and the other boat - great motivation and one of our favorite programs. The recovery program measures you heart rate as you complete the workout and lets you know your fitness level. The only negative is that you cannot store your performance over time, as it doesn't have a USB socket or any PC compatibility. You can of course record your workouts on a spreadsheet, but many rowers in the next price-bracket of around $750 have a PC-compatible function. The screen height can be adjusted on its bracket to suit your height. * These prices may differ - please check retailer for latest. 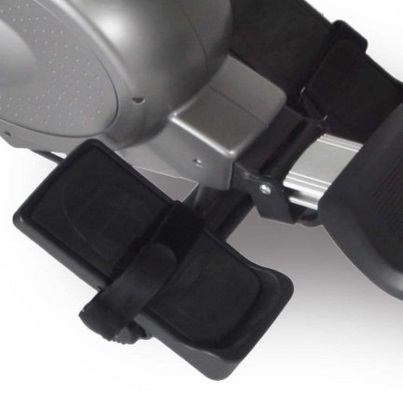 Similar models in this price range include the LifeCore R88 and Velocity CHR-2001. Although we feel the Cascade is marginally better than both! 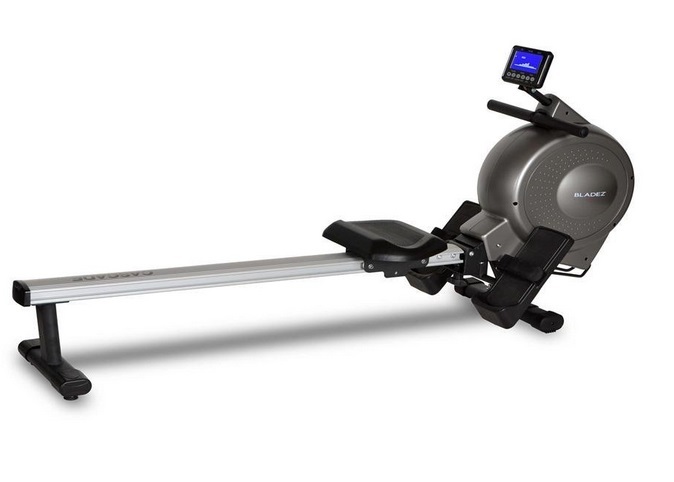 If you have an extra couple of hundred dollars to spend, you can't go wrong with the Concept2 Model D.